The following procedures are to be used by the selection committee appointed by the Board of Directors of The Lindy Infante Foundation (the “Foundation”) in awarding grants to individuals for the purpose of participating in youth sports organizations. 1. The Foundation shall only award grants to individuals for use for a portion or all of the costs associated with participation in youth sports. 2. The Foundation shall publicize the availability of the grant in such a way as to insure a significant pool of applicants. 3. Any individual who wishes to apply for a grant shall obtain, complete, and submit the application provided by the Foundation. 4. In determining whether to award a grant to a particular individual, the selection committee shall consider the financial need of the applicant. 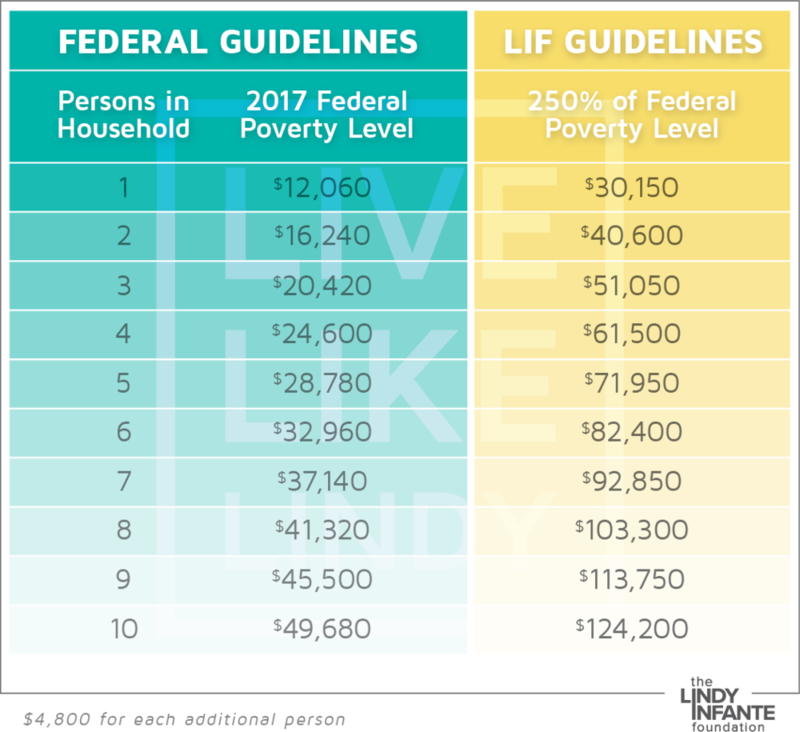 Grants shall only be provided to individuals who are a member of a household whose income is at or below 250% of the Federal Poverty Level, as determined and published annually by the Department of Health and Human Services. 5. The selection committee will screen the applicants and, by a majority vote, determine the recipient(s). 6. No person shall be eligible for a grant if he or she is related to any member of the selection committee or if any member of the selection committee is in a position to derive a private benefit, directly or indirectly, from the selection of such applicant. The Foundation shall make the grant payments directly to the youth sports organization where the grant is to be used and shall not make the grant unless the youth sports organization agrees to use the grant to defray the participant’s expenses only if he or she is participating in the youth sports program.